What I learned on the streets, I can’t wait to share with you! 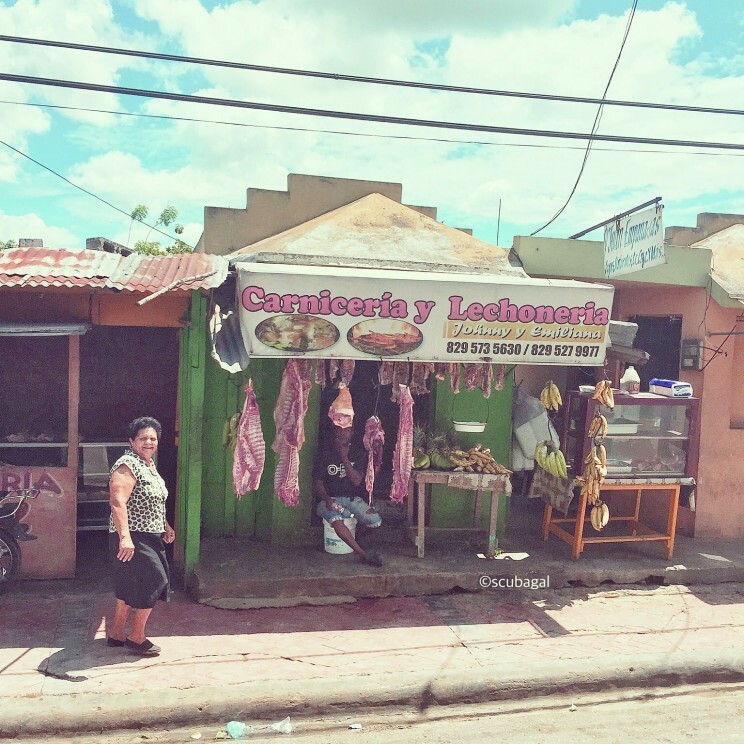 The island of Dominican Republic truly has a culture and lifestyle that is amazingly rich and diverse…if you are willing to venture off the beaten path. 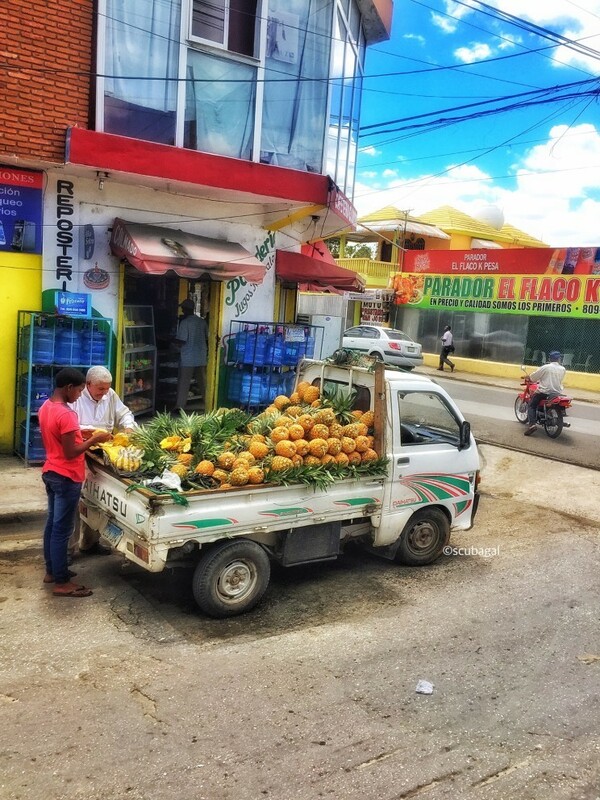 I am not sure if it is the rich blue skies mixed with deliciously warm sunshine, or if it is amazing fruits that you literally can see off the back of a pickup truck, but the streets of Salvaleon de Higuey were vibrant and alive with incredible scenery. I was a little disappointed that I couldn’t find any streetart to snap pictures of, but I quickly recovered once I started to take in the rich atmosphere around me, and decided to focus on strictly streetphotography. It was better than I could have hoped. This amazing culture is just dripping in paint. 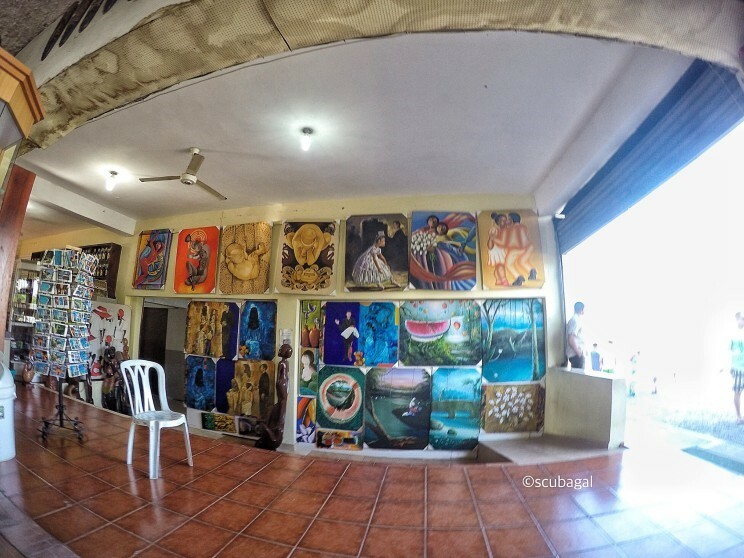 I was amazed by how many local artists sell their work, both on the streets and in these little shops that have no doors! I admittedly was drawn into the vibrancy of these paintings. After looking through many, I understood that they were reflections of both the social and political environments of the country. But, just walking around, you can see many of these bright canvases on the streets. I was lucky enough to bump into a piece by Olivia Peguero. 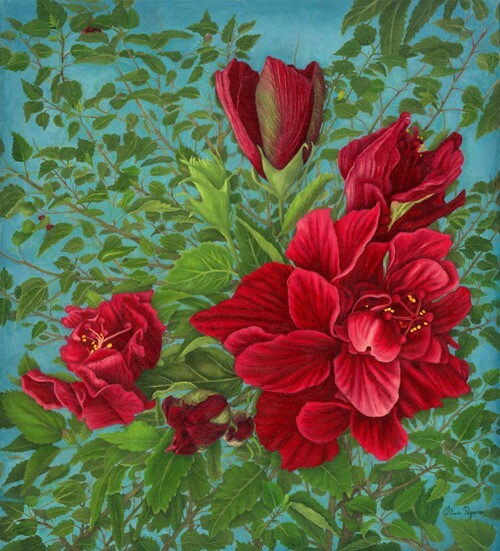 She is internationally recognized as being a contemporary and very much a botanist painter, into beautiful landscapes and flowers. When I squint, she reminds me a bit of Georgia O’Keefe. I also got to speaking with many of the local artists. From them I learned in Santa Domingo (the capital of Dominican Republic), you may actually meet many of these incredible painters in the galleries. They hang out to talk to the public about their pieces. In fact, most of them own their own galleries. If you end up going to Dominican, I highly suggest purchasing one of these canvases. There is not a single bit of shelter for these street vendors under the Caribbean sun, except for what nature has to offer. 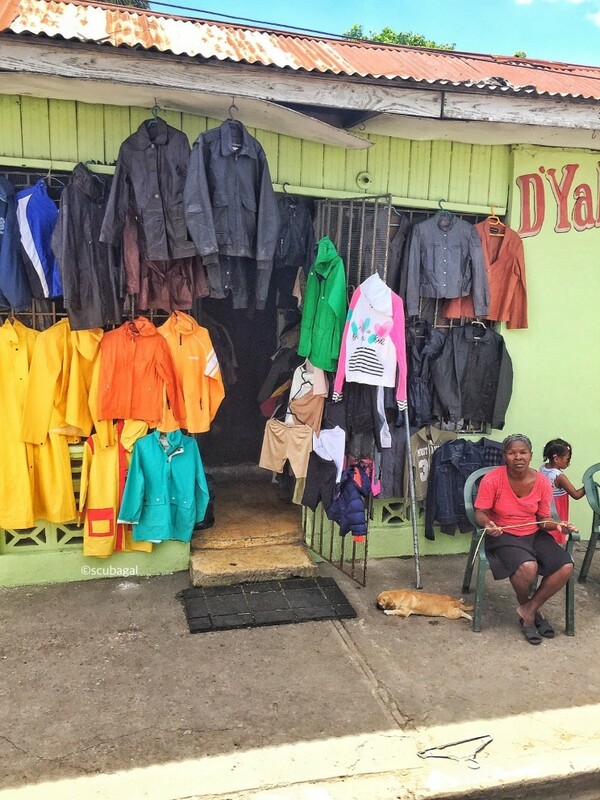 I was a bit humbled by all the local street vendors I encountered, who truly are a huge part of the Dominican economy, known as “the informal sector”. What this essentially means is that their business is unregistered and unregulated, and cannot be taxed. But I learned that it is how many Dominicans make their living. In Spanish they are know as the, “vendedores ambulantes.” I was very careful to understand that their persistent behavior was just because their livelihood depended upon it. Differences in selling and displaying merchandise were also quite striking. As I walked by many stores, I noticed that their food merchandise was hanging in mid air, without packaging. Admittedly, I was a bit surprised by this, but then I saw the campesinos, farmers in Spanish, bring their produce from the countryside, on horse-drawn carts! My natural curiosity and romanticism got the best of me. These incredible delicacies included coconuts, pineapples, lemons, and bananas. Since I was out of the tourist area, the prices were really reasonable. Everything cost just a few pesos (5 pesos = $1 CAN). Even though it is the original home of Oscar de la Renta, I was still surprised by the influence of the traditional American-styled dressed men and women. Many wear long pants and dress shirts, even in the heat. I got to admit, I wondered if my Canadian body was a bit over climatized to cold weather, being so skimpily clad in comparison! I was really hoping to see those swooping Spanish styles, but I was only able to catch a glimpse of it on the way to visit Our Lady of Altagracia Bascilica in the city of Higuey. Please appreciate, I really just wanted to go to church to take pictures of the incredible architecture of this building. Instead, I was asked to adorn a skirt that covered my knees. I learned quickly that the more elaborate dresses of European roots were donned during , Carnival, a traditional Dominican celebration that has persisted since the medieval times. Sadly, I had to put those dreamy notions away as I wasn`t going to see the festival this time around. 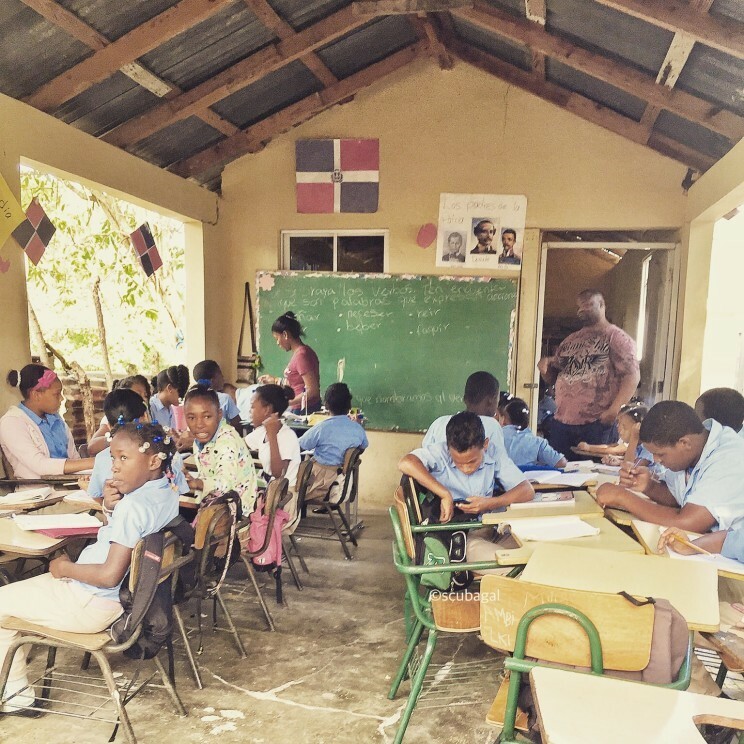 It was rather surprising coming up to this school house in the Higuey region. I have been an academic geek my entire life, and I am always so humbled by the different conditions that students learn. 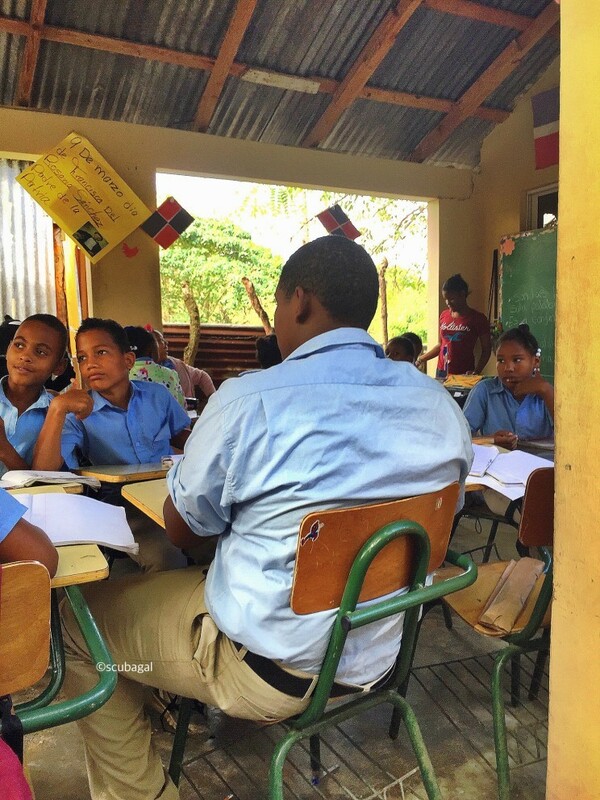 With barely any shelter, these students still held their smiles in their blue uniforms. After speaking with their administrator, I learned that the entire system is undergoing an overhaul as its current reputation is shoddy at best. Teachers salaries are dismal, about 250 euros a month. They cannot afford a family, let alone to teach. So understandably, the student to teacher ratio is 78:1. Given the current upcoming election, the current president is finally making good on some educational reforms, including extending the school day from 5 hours to 8 hours. But, it seems like construction is taking a priority. It will be interesting to see how this manifests within the next several years. I enjoyed my stay in Dominican so very much, and have so much more to share. It wasn’t my first trip there, and it certainly won`t be my last. It is indeed, a very magical place. I will most certainly be sharing more with you in more upcoming articles.